Set the Defense cap at $664 billion – a 2.6% increase for 2020 – and for 2021 at $680 billion. Only Democrats supported the proposal in the committee; however, many thought the Defense cap was too high. In addition, most Republicans objected to the bill claiming the defense cap was too low. Education advocates believe this was a good opening volley with a long road ahead. The bill will likely go to the House floor for a vote next, where amendments are expected and where the vote will be tight. Chairman Yarmouth is hoping to secure enough Democrats to squeak the proposal through. The next stop will be the Senate, where a bipartisan agreement will be necessary. The caps will likely be lower after going through that process. Appropriations Chair, Rep. Nita Lowey (D-NY), indicated that she would like to begin marking up the 12 appropriations bills after Easter recess – the week of April 29 – in order to meet the goal of passing all bills before October 1, when the 2020 fiscal year begins. The House Ed and Labor Committee has announced five bipartisan hearings on the reauthorization of the Higher Education Act. The second one – on accountability—took place this week. Democrats on the Committee zeroed in on for-profit colleges and their disproportionate default rates and poor outcomes leaving thousands of students with high debt and limited prospects. Ranking Member Virginia Foxx (R-NC), author of last year’s controversial bill to reauthorize the Higher Education Act, the PROPSPER Act, blasted the hearing as partisan. “To sit here and grind a tired old ax against certain types of institutions you don’t like is just disgraceful,” she said. “I thought there was bipartisan agreement around the idea of wholesale reform, but I’m now seeing that really that isn’t the case, and that’s a true shame,” she noted. After a decade of service, loan forgiveness is available to a range of public employees, including teachers. The Trump Administration and the House Republican Higher Education bill from last year, the PROPSER Act, called for the elimination of the program. Two Democratic Members of the House of Representatives – Katherine Clark (MA) and Mark Pocan (WI)– have called on Sec. of Education Betsy DeVos to resign. Her appearance before the House Labor/HHS/Education Appropriations subcommittee last week appears to have contributed to these calls. Both Rep. Clark and Rep. Pocan (D-WI) are members of that Subcommittee and questioned her pointedly during the hearing. Rep. Pocan, the co-chair of the Congressional Progressive Caucus, wrote an oped calling for DeVos to “step down from her role and allow a committed educational professional” to take the job. “She has also worked to revoke guidelines on affirmative action and strip protections and rights for LGBTQ students – including students who identify as transgender,” he wrote. DeVos will make her third appearance before the 116th Congress next week when she testifies before the House Committee on Education and Labor about the policies and priorities of the Department of Education. The hearing is at 9 am on April 10. See link below to watch. 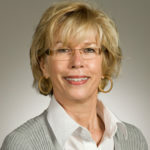 A former teacher and education administrator, Dr. Jane West is visiting professor at the University of Maryland and policy advisor to several national education organizations, including the American Association of Colleges for Teacher Education (http://aacte.org/), the National Network of State Teacher of the Year (http://www.nnstoy.org/), the Higher Education Consortium for Special Education (http://www.hecse.net/) and the Teacher Education Division of the Council for Exceptional Children (http://www.tedcec.org/). For eight years she led AACTE’s advocacy and policy work as Senior Vice President. In the mid 1980’s she worked as senior education advisor on the United States Senate Committee on Health, Education, Labor and Pensions where she led the national effort to craft multiple federal education statutes.